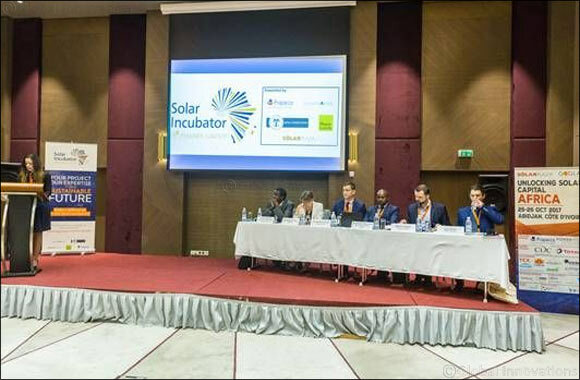 Dubai, UAE, August 07, 2018: Phanes Group, an international end-to-end solar provider headquartered in Dubai, UAE, has announced the 2nd edition of its Solar Incubator program, aimed at identifying PV projects of potential in sub-Saharan Africa by providing support to funding, and commercial and technical knowledge. 'We are very much looking forward to host the latest edition of the incubator during Unlocking Solar Capital Africa. All participants will have the opportunity to take their project from concept stage into development with the expert advice from the incubator evaluation panel and the support of Phanes Group' Lydia van Os, Project Manager Unlocking Solar Capital Africa added. Phanes Group’s 2nd annual Solar Incubator, held under the theme of “Your Project, Our Expertise, For a Sustainable Future”, will be supported by Hogan Lovells, responsAbility Renewable Energy Holding, RINA and Solarplaza. The deadline to submit projects for evaluation ends on September 27th (11.59 p.m. CET). The final selection process will take place during a live evaluation panel session at the “Unlocking Solar Capital: Africa 2018” conference in Kigali, Rwanda, where the finalists will present their projects live to the panel members and audience and then the winner(s) will be announced at the conference. Interested candidates can submit directly via email to incubator@phanesgroup.com .